Is it Okay to Open Multiple Demat Accounts in India? Hi. Welcome to the day 6 on my ’30 days, 30 posts’ challenge, where I’ll be writing one interesting investing article daily for the next 30 days. In the last few days, I received multiple emails to cover this topic- “Can I open multiple demat accounts in India?”. Therefore, I decided to write a blog post on this query. Yes, it is okay to have multiple demat accounts in India. You won’t face any legal problems. A person can open as many demat accounts as he/she wants. Why there won’t be any problem while opening multiple demat accounts? Each person is mapped with one PAN Card. Obviously, you cannot have multiple PAN Cards as it is unique for every person. Therefore, as long as your PAN Card is correctly connected with your demat account, all the equities that you buy will be mentioned as your property. A person can open multiple demat accounts using the same PAN Card. Quick Note: You have to open multiple demat accounts from different brokers. But, you cannot open two demat accounts with the same broker. Can you open multiple ‘Trading’ accounts with the same demat account? You can open one demat account and link it with multiple trading accounts. For example- You can open one demat account at HDFC Sec and link it with different trading accounts like Zerodha, ICICI Sec, Motilal Oswal etc. 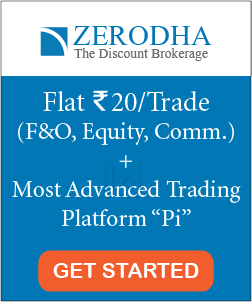 If you want to enjoy the facilities of both discount and full-service broker at the same time– you can open multiple trading accounts with different brokers mapped to a single demat account. Not all brokers allow opening only the trading account. For few, you have to open both demat and trading account at the same firm. Although there isn’t any problem with opening multiple demat accounts, however, there are few significant advantages and disadvantages of doing so. Frankly speaking, there are not many advantages to having multiple demat accounts. The only advantage worth mentioning is that you can segregate your long-term investments and short-term/frequent trading in different accounts. For example- You can keep the stocks that you’ve purchased with a long-term vision in one demat account and your stocks with short-term aims in another account. This will help you to avoid confusions and bring discipline in your investment. There’s no free lunch in this world. If you’re having a demat account with a broker, you have to pay the annual maintenance charge. This amount will vary depending on your broker, but almost every broker charges AMC. Therefore, if you have multiple demat accounts, then get ready for paying multiple AMCs. For example- If you have a demat account with ICICI direct (AMC= Rs 600) and another with Share Khan (AMC= Rs 441), then you’ve to pay an annual AMCs on both (total of Rs 1041 per year). Let’s assume that you’ve 10 stocks in your first demat account and 8 in another, then it might be little difficult to continuously track both accounts. Yes, it’s true. Many people forget the credentials (login and password) of their accounts when they are using multiple demat accounts. Moreover, they don’t even care to contact the customer care of that broker anymore. Obviously, you’ll receive multiple notifications and alert from your broker before freezing your account. But if you remain inactive for a very long period of time, then they might freeze your account. And your stocks along with it (Relax your demat shares are with NSDL or CSDL and can be recovered). Still, to avoid any inconvenience, you should remain active on your accounts periodically. Quick Explanation: The demat account is opened with your depository participant (DP) (i.e. your broker like HDFC Sec, ICICI direct etc), however, the shares actually remain in the custody of the depositories (CDSL or NSDL). When you open your account, you specify whether you’re opening your account with CDSL or NSDL. Therefore, even if your account gets freezed or your broker gets bankrupted, you can recover the stocks from the depository. 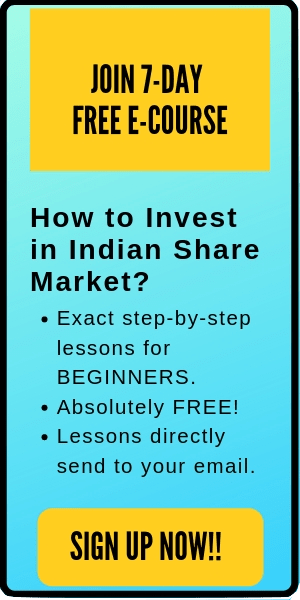 Also read: How to find the best stockbroker that suits your needs and get started in the Indian stock market? The straight answer to the question- ‘Is it okay to have multiple demat accounts in India?’ is YES! It is okay to have multiple demat accounts in India. However, before opening your second or third demat account, please reconsider about the advantages and disadvantages of having multiple accounts.